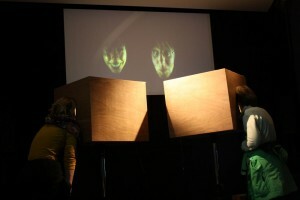 Voor Pavlov e-lab en de Nacht van de kunst en de wetenschap 2012 heb ik meegewerkt aan de installatie (e)motions van Kan Klug. 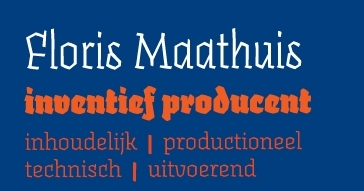 Ik heb de houten boxen gebouwd en de technische productie ervoor gedaan. The scientific installation “(e)motion” shows you funny faces of yourself you had no idea you would ever pull. When you’re looking into a mirror or camera, you will probably pull a serious face or give a fake smile, but throughout the day your facial expressions change constantly depending on the way you feel. 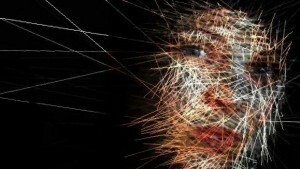 (e)motion is an installation that enables you to manipulate a dynamic environment of sound and film using facial expressions. It’s a joint project of media artist and composer Jan Klug, professor in neuromechanics Bert Otten, and cognitive neuroscientist Barbara Nordhjem. The installation is part of a bigger project of Pavlov E-Lab, which involves artists and scientists investigating how the power of imagination “animates” our movements. Discover your subconscious funny face!